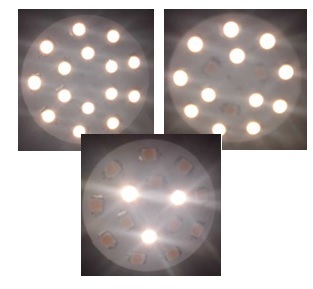 No Dimmer Needed - 3 Light Levels in one bulb! 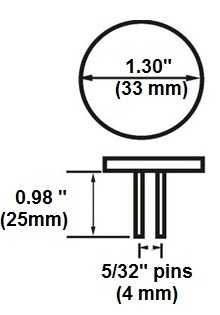 Overall thickness of pcb and components approx 0.37 in. Contains fuse and transient suppressor to protect from current overload and voltage spikes. Choose your light brightness with the flip of your switch. 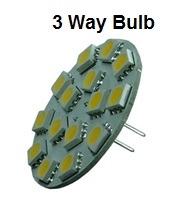 No need for a dimmer with this 3 way 12 volt dc LED bulb. We offer our 12 Volt LED Bulbs comparisons to be used as a guideline - simply stated - incandescent, halogen and Xenon bulbs all have initial Lumens outputs which not only vary by manufacturer, but also degrade with use, the current lumens output of your 12 volt bulbs is unknown. Additionally, conversion of lumens to wattage is not a direct science (values shown reflect lumen efficacy of bulb type: 16-halogen, 7 incandescent & 16-MR). The fixture, lens and reflector may also be factors in determining desired results. Our goal is your satisfaction, and therefore we offer a liberal return / exchange policy. Low Power Consumption- 12 Volt LED Bulbs use up to 5x less power than their equivalent halogen, Xenon and incandescent predecessors. Produce 80% Less Heat - keeps cabins / rooms cooler. Contain no filament or glass to break - shock resistant. Contain no mercury (as in fluorescent bulbs) -environmentally friendly. 2 Year Warranty - peace of mind. Bee Green 12 Volt LED Bulbs utilize a true constant-current topology, are EMI free (no electromagnetic interference), and are designed with an 80 CRI value to provide quality light color. For more information regarding 12 Volt LED bulbs to 12 volt light bulbs watts comparison and color range and temperatures click here.